Hi Tom & Lu, first off, please tell us a little bit about your practice and your artistic background? We first attended the Mecca of Fire and Light, which most people call Burning Man, in 2014, where we met one another and instantaneously became afflicted by an insatiable desire to create bigger and bigger visual spectacles. We had no ‘formal’ artistic background before this, so we are self-taught in our disciplines and are driven by a feral impetus to put as many photons in motion as possible, which has been helped by the generous and encouraging enclave of beautiful gypsies and hooligans who have supported us through this development. What are some of your more general contexts/concepts and inspirations behind your pieces? Our art tends to be driven by an obsession with complex geometric symmetry and fractal shapes, the history of those motifs in the rich tapestry of human culture (e.g. the Alhambra in Granada), the desire to create enjoyable visual enhancements around which people can unify and celebrate, and, generally, the necessity to create something good within constrained budgets, imperfect materials, and harsh environments. How did you first get into being an artist, what interested you in creative practice and did you always know you were going to work in this discipline? Burning Man gave us the vision, originally. The culture of participation and radical self-reliance encouraged us to ‘do it ourselves’. We became thirsty, ambitious, and inspired to see if we could recreate what we had seen. This was a totally divine and unexpected occurrence. Regarding this discipline in particular (lights and flames) – we generally believe that although art has taken many forms and iterations throughout history, there has usually been a unifying theme of novelty, creativity, and the pursuit and reverence of aesthetic beauty, whatever that might mean. We want to create things that are viscerally stunning, beautiful, compelling, eye-catching, and memorable, without the requirement for long-winded explanations and conceptual support, and in turn we think using contemporary technologies like LEDs and custom pyrotechnics are an effective route to this goal. What drew you to Noisily, and what keeps you coming back? There’s enormous overlap between our Noisily lives and our Burning Man lives. Same people, same family, same vision. 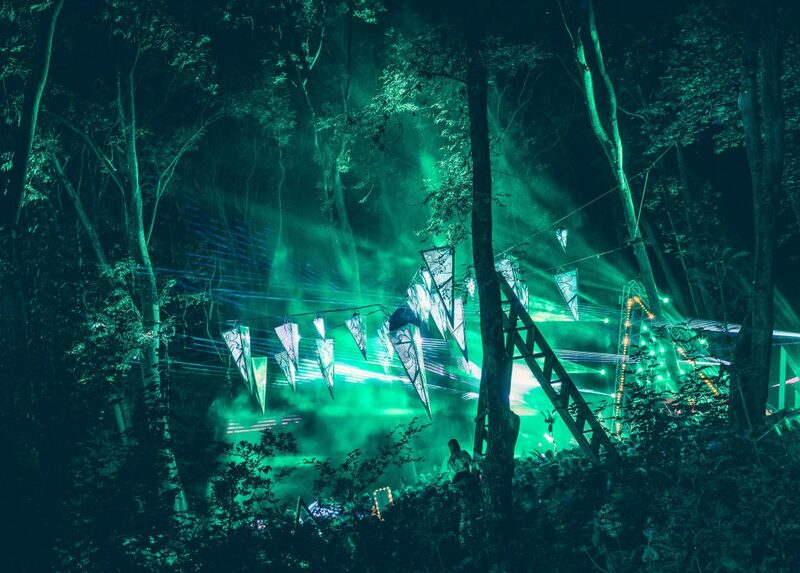 Noisily is exquisitely unique amongst all the parties and events we’ve attended in Europe because it’s managed to preserve a sense of beauty, wonder, and tribal unity in the woods, while having some of the best production, art, and music available. It’s our favourite. You have worked on art projects on an international scale, we would love to hear about some of your favourite and most exciting pieces, where they were created and why they are stand out moments to you, in your artistic career? What was the best thing/ most enjoyable part of your creative collaboration with Noisily 2018? There is nothing quite as gratifying as seeing thousands of people gape in wonder at the psychedelic arena of visual delicacies at night, take photos, and have the time of their lives, while knowing that we contributed in some way to their enjoyment. Collective professional hedonism – that’s what we’re here for, right? 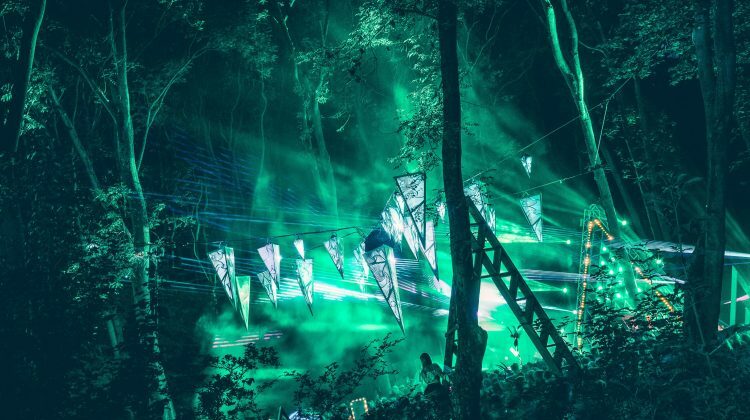 Any artist knows it’s never plain sailing when it comes to creating, especially site specifically, did you face any difficulties creating at Noisily this summer and how did you work through them? We have a mental rule that any technical problem can be overcome. It’s a waste of time to think that the problem is unsolvable. So when we run out of the correct type of wire, or plumbing standards are mis-matched, or there’s a bug in the software, we like to imagine ourselves as medieval sailors being pummelled by a vicious ocean storm, and the only way we will survive is through perseverance and ingenuity. We improvise, and when we finally shower after three days of intense building, successful improvisation becomes part of the story and part of the gratification. That and the invaluable aid of our beloved volunteers! 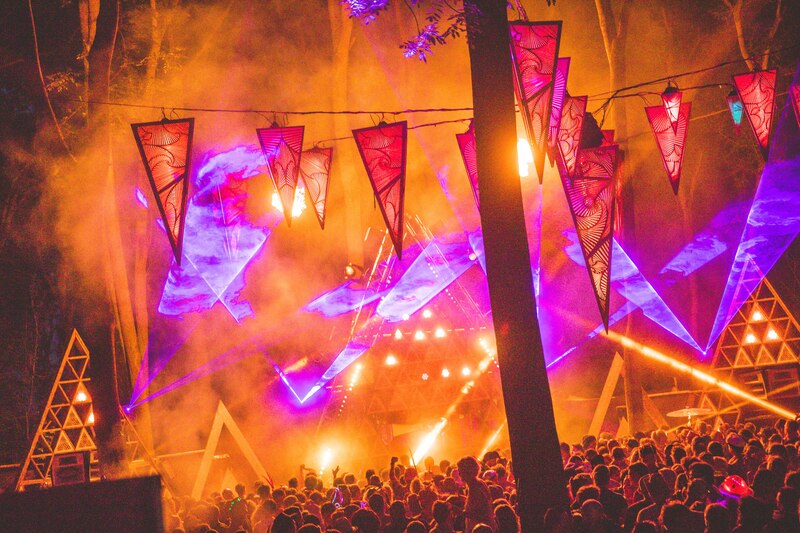 Having visited Noisily in previous years, how have you seen it change artistically? It’s bigger and better every year, without sacrificing the culture. We love it. Each stage always has production enhancements that we look forward to. Do you have any advice for artists wishing to submit to the Art Applications? As an artist, art applications can be the most daunting or boring part of the creative process. We just want to create! Try to keep your vision in mind when creating your application. Visualise the glory. Remember why you’re doing this. Then execute like your life depends on it. Finally, what does 2019 look like for you? Have you got any exciting projects in the pipeline? Burning Man 2019 will be perhaps the biggest and best thing we’ve ever worked on. We’re collaborating with all sorts of excellent artists and engineers to create something truly novel. In one phrase: floating psychedelic honeycomb. Stay tuned for some photos in September!